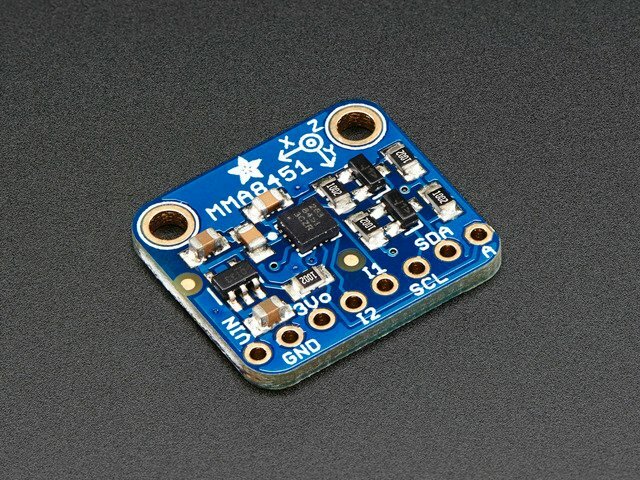 The little chip in the middle of the PCB is the actual MMA8451 sensor that does all the motion sensing. We add all the extra components you need to get started, and 'break out' all the other pins you may want to connect to onto the PCB. For more details you can check out the schematics in the Downloads page. This guide was first published on Jul 30, 2014. It was last updated on Jul 30, 2014. This page (Pinouts) was last updated on Apr 18, 2019.